“On behalf of President Obama and the people of the United States, I am delighted to send best wishes to the people of Bulgaria as you celebrate your National Day this March 3rd. During my trip to Sofia earlier this year, I was able to visit with government leaders and other Bulgarians. 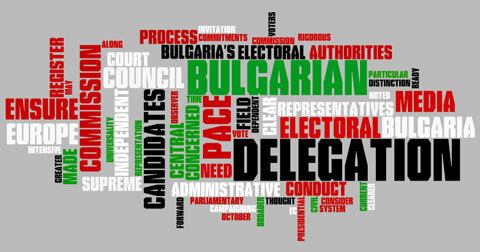 I was impressed by Bulgaria’s strong democratic institutions and commitment to rule of law. Our two countries share these tenets of democracy as we face a variety of global challenges together. From our strong cooperation as NATO allies serving side by side to ensure a successful transition in Afghanistan, to extensive law enforcement initiatives that are combating transnational crime, the U.S. has continually partnered with Bulgaria to make the world a safer place. We look forward to continuing to expand our strong relationship on energy diversity and security while preserving the environment for generations to come. 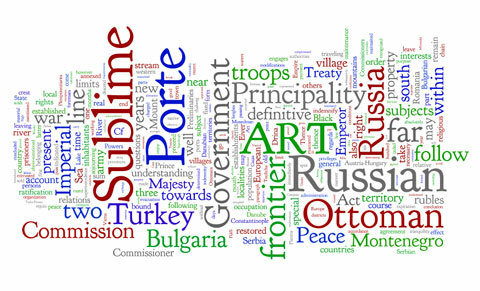 See our word cloud of the 1878 Treaty of San Stefano. The Treaty of San Stefano was the agreement signed between Russia and the Ottoman Empire to settle the Russo-Turkish War of 1877-1878. It restored Bulgarian freedom for the first time in almost 500 years. Unhappy with the prospect of a large Russian vassal state in the Balkans, the Great Powers convened the Congress of Berlin to modify the terms of the Treaty of San Stefano, redefining the Balkan situation in a manner more agreeable to their own ends. 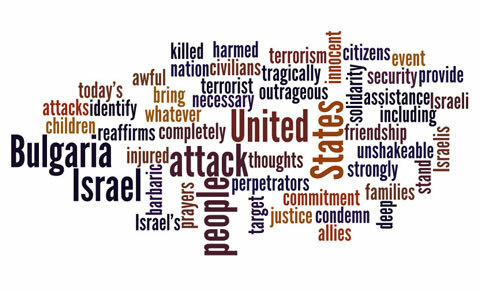 See our word cloud of the Treaty of Berlin.